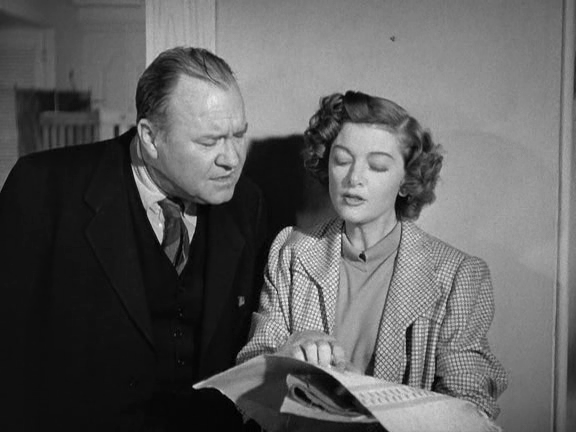 A city slicker (Cary Grant) and his wife (Myrna Loy) purchase a run-down house in Connecticut, against the advice of their well-meaning lawyer friend (Melvyn Douglas). Cary Grant and Myrna Loy were at the peak of their popularity when they starred together in this amiable comedy (based on the bestselling novel by Eric Hodgins) about an urban couple hoodwinked into purchasing an “idyllic” country home. The storyline is simple, and ripe for empathetic chuckles given its very topic: anyone who’s purchased a home — or longed to live in a place where the grass is presumably greener — will relate at least somewhat to their travails. My favorite scene (highlighted by many fans as well — see this message board thread on IMDb) shows Myrna Loy meticulously outlining her preferences in color schemes for various rooms, only for the painter to label her choices simply as “red, green, blue, yellow, white”. 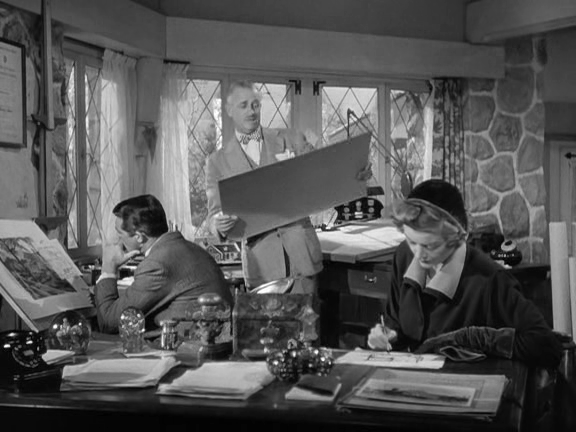 Given its comedic potential, however, Mr. Blandings… unfortunately never emerges as anything more than a series of mildly amusing vignettes. A would-be romantic rivalry subplot involving Melvyn Douglas (who also narrates the film) falls flat, and the story builds to a surprisingly slight pay-off. While it’s certainly recommended for one-time viewing (and Cary Grant fans will doubtless want to check it out), this isn’t must-see for all film fanatics. No, but it’s recommended. Listed as a Personal Recommendation in the back of Peary’s book. Not a must. Mildly amusing. Actually, less than mildly overall. Grant’s character makes so many dumb moves that it’s hard to stay with him. Yes, Loy’s color scheme is a highlight. Perhaps *the* highlight. A few successful moments here and there (the last 15 seconds are a nice touch), but a good deal of the dialogue is cringe-worthy. The script employs unfortunate ‘humor’ in the form of things falling (not usually a personal favorite in terms of wit) or other low forms for laughter. It is pleasant to see Loy and Grant together, with Douglas for support. But, if you ask me, Louise Beavers comes off best in the very small role of maid Gussie.